Housed and on display in the Smithsonian’s National Air and Space Museum in Washington, DC is a peculiar chalice with angels and biplanes adorning the upper portion’s large rim. 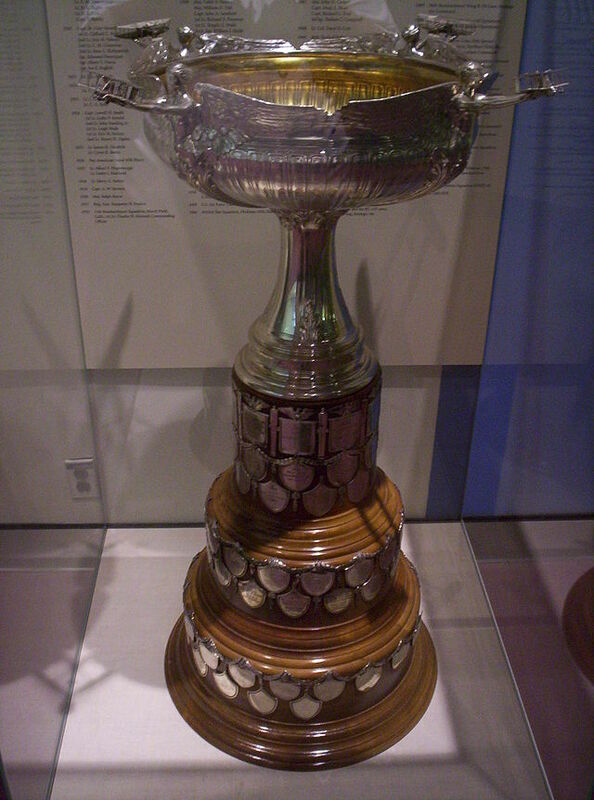 Known as the Mackay Trophy, it was first presented in 1912 and annually awarded ever since for the “most meritorious flight of the year” conducted by personnel of the United States Air Force. Among the numerous names of pilots, navigators and crew engraved on the trophy are those of Crew E-113 of the Air Force’s Strategic Air Command, who without a doubt flew out the most meritorious flight of 1983, saving the lives of an F-4 Phantom II pilot and his Weapons System Officer and preserving the fighter jet itself. On the 5th of September, 1983, USAF F-4E pilots and their Weapon Systems Officers filed into a briefing room at Seymour-Johnson AFB, North Carolina, all taking seats facing a central podium. According to the officer charged with the briefing, they were about to fly a routine trans-Atlantic flight over to Europe. For some of the twenty four pairs of pilots/WSOs, it’d be their first transoceanic hop while for others, it was nothing too new. Weather was judged as being fair and unremarkable, and final parameters before takeoff were discussed. Due to the incredible distance and the limited amount of fuel in their tanks, the gaggle of Phantoms would have to link up with aerial refueling tankers assigned to the flight, refueling multiple times to make it over to England and then, West Germany. Strategic Air Command would provide four KC-135A Stratotankers and four KC-10 Extenders to top off the jets over the ocean as they flew towards Europe. However, this flight in particular would prove to be anything but routine for crew E-113 of one of the KC-135s and Maj. Jon “Ghost” Alexander and his WSO, flying one of the F-4Es. KC-135s and KC-10s on this mission were paired up and assigned a “cell”, a grouping of four Phantoms that they would be exclusively responsible for during the flight. E-113, consisting of Captains Robert Goodman and Michael Clover, First Lieutenant Karol Wojcikowski and Staff Sergeant Douglas Simmons, were in one such Stratotanker with the callsign “North Star”. They would refuel “Ghost” Alexander and his wingman, while the Extender would refuel the the other set of Phantoms in their cell. In addition to the 70,000 lbs of fuel onboard designated for the fighters, there were twenty two other passengers on board, including service personnel and military dependents (families). In a few short minutes, Goodman and Clover, the pilots of North Star, readied their flying gas station to commence the fourth of eightplanned refuelings they were scheduled to carry out for that flight. Ghost and the other aircraft assigned to North Star’s cell prepared to enter their tanker’s area of responsibility. Out of the blue, Ghost began to experience difficulty with one of his twin General Electric J-79 engines. After bringing the other pilots up to speed on his situation, Ghost’s wingman circled underneath his Phantom to perform a visual inspection before coming up the other side. Ghost’s wingman reported in oil leakage, confirming their worst fears. Clover contacted the emergency divert base at Gander, Newfoundland and declared an emergency. Things began to rapidly deteriorate even further when the troublesome J-79 lost a substantial amount of thrust output. Though it was still turning, it was barely burning. The wounded Phantom slowed down considerably and lost altitude, even with its pilot’s best efforts to counter the loss of power and lift. Not only was the Number Two J-79 marginally functioning as it was supposed to, the Number One engine began struggling and overheating as it was now saddled with the burden of keeping the heavy, loaded Phantom in the air.To extend their range, the Phantoms had drop tanks filled with fuel underneath their wings that added on weight and air-resistance to the unseemly aircraft. Thinking quickly, Ghost decided to jettison his three external tanks in the hopes that the lighter weight and decreased drag would possibly ease the load on the overheating Number One engine, and allow for a regain in speed and altitude. Flying at a 45-degree nose-up attitude was no easy task, and if their circumstances weren’t remedied right away, Ghost and his WSO were in for a swim in the frigid Atlantic Ocean… one they definitely would not survive if it came to that. If either of the two of them didn’t think their day could get any worse, fate decided to prove them wrong right then and there. After losing the tanks, part of the Phantom’s hydraulic system failed, further crippling the jet and reducing the number of available options for its beleaguered crew to one: ejection. While the crew of the half-paralyzed Phantom got their wingman and the tanker in their assigned cell updated on the mess they were in, the crew aboard North Star were already working on a possible stopgap solution to the problem, just to buy the Phantom more time in the air as they tried to fly 520 miles towards Gander. They didn’t just have to worry about one aircraft: three others needed fuel as well and that would take time away from dealing with the crippled Phantom. Captains Goodman and Clover were given the order from the mission commander flying the KC-10 in their cell to turn their Stratotanker around and provide whatever assistance they could. They quickly made their way towards Ghost’s and his wingman’s Rhinos and, after positioning themselves above and forward of Ghost, began deploying speed brakes, rocking the aircraft, etc., so that they would be able to slow down enough to maintain a forward velocity relative to that of the limping jet they were about to gas up. 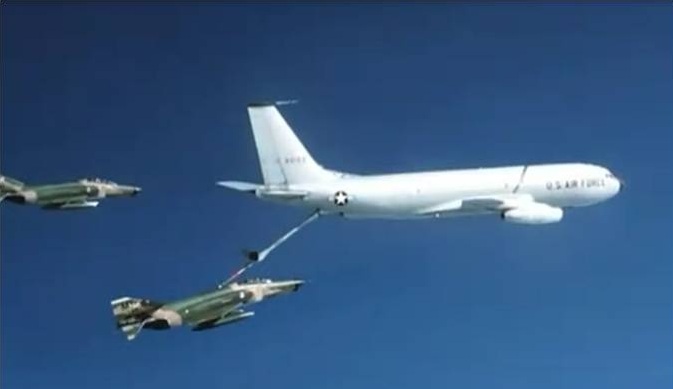 They initiated the first refueling hookup at around 4500 feet, lower than originally planned and pushing the safety margins. Goodman began to increase his altitude, bringing Ghost up with him. Because of the dearth of fuel in the F-4E’s tanks, the aircraft was flying far slower than was Air Force procedure during a midair refueling, thus necessitating both the KC-135 and the Phantom to adopt a high angle of attack to generate enough lift to keep both flying at such a low altitude above the ocean. Staff Sergeant Douglas Simmons, the boom operator aboard the tanker, had to compensate for the F-4E’s constant movement towards the right (thanks to the loss of power in its Number Two engine and the partially-dead hydraulics system) but was still able to insert the tip of the boom into the slot on the Phantom, beginning the vital transfer of fuel to the aircraft. Then once again, trouble struck. The F-4E simply couldn’t maintain the link between itself and the tanker; it left the boom and began to dive downward, unable to remain in relatively-level flight. Acting fast, Goodman and Clover throttled forward slightly and decreased altitude once more to attempt another refueling. There was no way they’d let that Phantom crew fall into the Atlantic without a fight. After a thoroughly nerve-wracking bit of maneuvering, another link between the F-4E and the KC-135 was established and fuel once again began to flow between the two aircraft. This time, the airspeed indicator in the KC-135’s cockpit showed around 190 knots, just above the Stratotanker’s required landing speed. Even with a second refueling, the Phantom’s chances of making it still looked slim, especially towards reaching Gander. Goodman, Clover and their crew moved back to attempt another series of refuelings of the crippled jet, two of which were successful. The fourth refueling was done at about a mere 1600 feet above the choppy waves of the North Atlantic. Perhaps the most amazing of all feats of airmanship performed by all pilots and crew involved was the fact that Goodman and Clover actually “towed” the Phantom for over 160 miles when the stricken fighter seemed to be unable to keep its altitude. With time, the overheated Number One engine cooled down significantly and the Ghost was able to climb his jet to 6000 feet with the assistance of the KC-135, now something of a guardian angel to him and his WSO. Disengaging from the boom and breaking off from the flight for the last time, Ghost followed a route computed by Wojcikowski that took into account the fact that he was mostly unable to bank or turn right, and banked left, aligning himself with Gander’s main runway. Gingerly touching down, though not without some more difficulty, the terrifying debacle was over once and for all. After Ghost’s wingman landed too, North Star touched down, a full 5 and 1/2 hours after taking off on their flight to Europe. 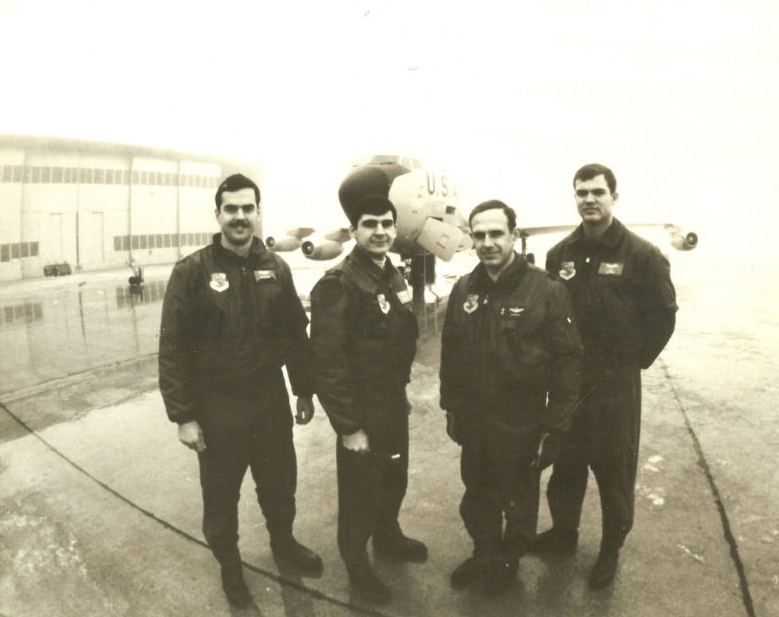 In November of 1983, crew E-113, consisting of Captains Robert J. Goodman and Michael F. Clover, First Lieutenant Karol F. Wojcikowski and Staff Sergeant Douglas D. Simmons, were unanimously selected to receive the Mackay Trophy for their inspiring determination, creativity and airmanship in their efforts to save their fellow airmen and the stricken Phantom. I read about this in an article in Airman’s magazine many years ago. Being a boom operator with over 2400 hours in KC-135a’s this always makes me proud of all the guys and gals that fly the refuelers. THAT event is still impacting our lives even in 2019! NORTHSTAR was the nickname that I, as the Crew Chief, named my aircraft. I went TDY to ETTF, PTTF, and to a BUSINESS EFFORT with the E-113 crew. We made Loring AFB shine. SAC trained. Google Loring Heritage Museum and visit this summer during the open house. We’ll be there. SAC Crew Chief, Lorings’ NorthStar.